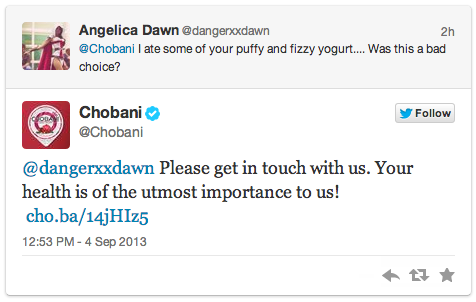 UPDATE 9/5/2013 12:21 PM ET: Chobani confirmed that the problem is being caused by mold and is issuing a formal recall of some of its yogurt cups. After customers complained on Chobani's Facebook page that their cups of Greek yogurt tasted funny, and in some cases were fizzing and bloating, the company asked some supermarkets to remove the product from their shelves. According to the International Business Times, the culprit may be mold. The Food and Drug Administration announced today that it's looking into the situation.